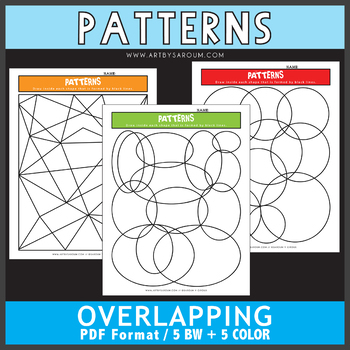 Enjoy these 5 printables of overlapping patterns and I've included the black and white version as well. 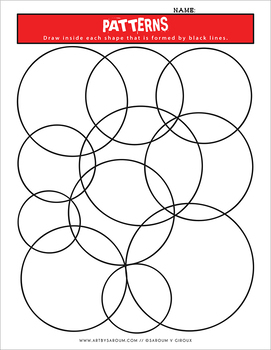 Students can get really creative with these by not only filling in patterns but creating mini drawings per each shaped formed by the black lines. 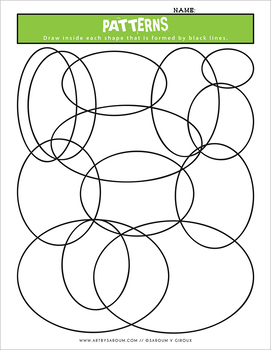 These drawing prompts for your student(s) will stretch his or her imagination. Like this listing? 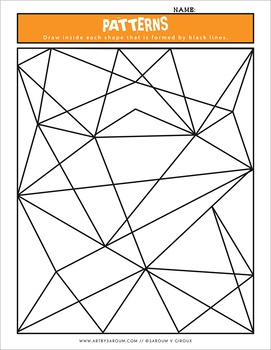 Check out more drawing printables. My Pattern Journal (if purchasing, please note, the Overlapping Patterns files is already included). Check out more DRAWING ACTIVITIES. Visit my Learning Corner Blog.